Darling dear, dark hearts can be delightfully decadent. 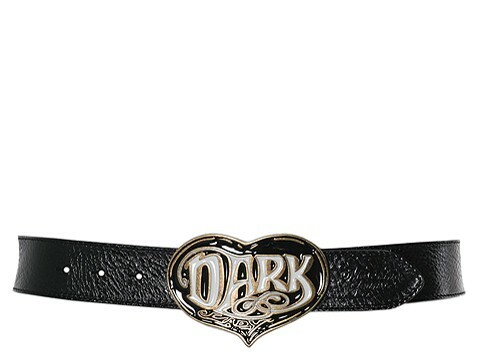 Dictate your dominate desire and find your fix here with this belt by Moschino. 1.5 width. 28 length. Leather belt. Brass tone metal buckle. Made in Italy.